Teaching the Codex. An interdisciplinary colloquium and its digital aftermath. Teaching the Codex was launched with a colloquium at Merton College Oxford on 6th February 2016. 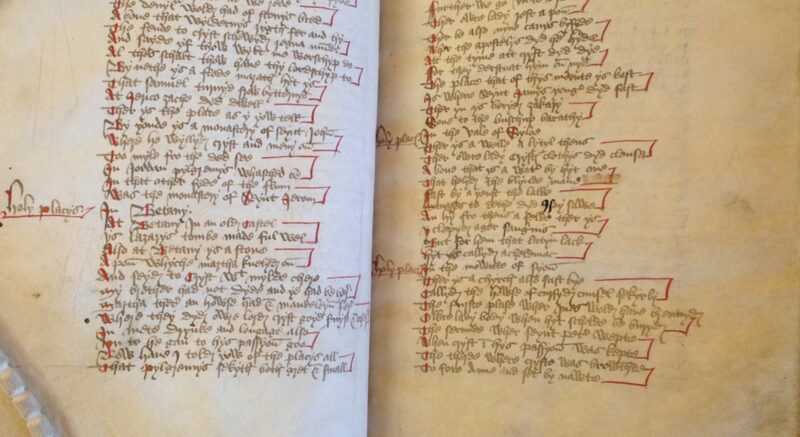 This event brought together academics from a range of disciplines who are experienced in teaching palaeography and codicology, which enabled a series of discussions on diverse pedagogical approaches. We hope that the discussions at the colloquium, which covered traditional and innovative strategies for learning, will lead to the sharing of resources between disciplines. The Teaching the Codex WordPress site will continue to facilitate discussions and resource sharing in a digital forum via monthly guest blog posts. Follow us here and on Twitter to keep up with further announcements. We are grateful for the sponsorship of: Oxford Medieval Studies, sponsored by the Oxford Research Centre in the Humanities (TORCH); the Merton College History of the Book Group; the Lancelyn Green Foundation Fund; and the Craven Committee. Organisers: Tristan E. Franklinos and Mary Boyle.